Located on Kern Street between E. Huntingdon and E. Sergeant Streets, in the East Kensington Community. 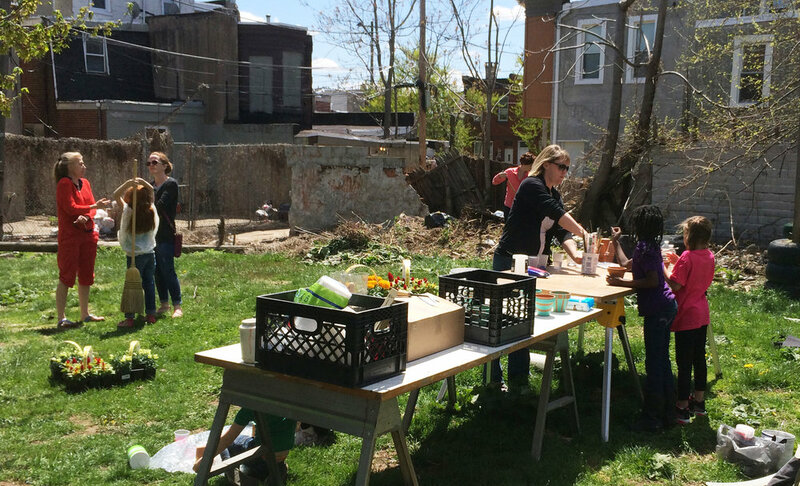 Kern Park features raised garden beds, a community board, trash bins, and ample space for gatherings. Kern Park hosts several community events, including garden tending, free BBQ's, and educational workshops! Keep in touch with Kern park news and join our mailing list. Kern Park's name originates not only from our location (Kern Street) , but from Democratic Senator John W. Kern. In 1913, Kern was contacted by labor activist Mary Harris Jones ("Mother Jones"), who had been imprisoned by a military court in West Virginia during the Paint Creek-Cabin Creek strike of 1912. In response, Kern introduced the Kern Resolution, adopted by the Senate on May 27, 1913. The resolution led to the Senate Committee on Education and Labor investigation into conditions in West Virginia coal mines. He was a human right's advocate, progressive Democrat and an opponent of monopolistic corporate power.